According to a recent survey, nearly 50 percent of Americans lack $10,000 or more in retirement savings. While much of this can be attributed to job losses, debt, or mortgage problems, experts say the economy is not completely at fault. Financial planners say there is an increasing gap between what Americans have saved, and what they will actually need in order to retire. As a result, more Americans are putting off retirement simply because they cannot afford it. One of the most common reasons individuals incur extra expenses is caring for elderly parents. Such financial obligations not only deplete savings accounts, but it prevents many from accepting promotions at work that would bring in more income. According to a USA TODAY/ABC News/Gallup Poll, 41 percent of Baby Boomers who have a living parent are currently providing personal help, financial assistance – or both. As for those Boomers who aren’t yet caring for an aging parent, 37 percent believe they will at some point in the future. About half of survey respondents admitted being concerned about their ability to do so. And all of this comes at a time when Baby Boomers are entering senior years themselves. 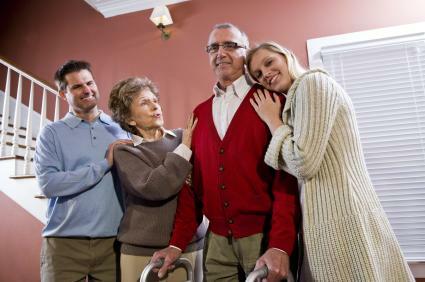 The AARP reports that unpaid caregivers spend an annual average of $2,400 of their own money on their parent’s care. With what result? Many adult children end up ignoring their own savings and retirement funds – or worse, drawing from those accounts in order to cover costs. How do experts recommend adult children avoid this costly mistake? By taking full advantage of the programs and services geared towards caring for the elderly. One such service is the exciting home care system offered by ClearCare. When you hire a home care agency to lighten your load of caregiving responsibilities, be sure the agency uses ClearCare’s home care software. ClearCare understands you still want to be totally involved in your parent’s care, and has designed its entire home care system with you and your loved one in mind. The majority of family caregivers report feeling strained and stressed as a result of providing care to aging parents. “People who ignore their personal well-being are often fine at first,” says Jean Bisio, president of Humana Cares. “But over time the impact on one’s personal health can be seen in weight gain, fatigue, and stress-related illness.” These issues also impact family finances, pushing off retirement even longer. Hiring outside help is the most effective way to relieve stress, provide quality elder care, and safeguard your retirement savings. Using an agency that relies on home care software allows you to keep track of your parent’s activities and know exactly when the caregiver arrives. Utilizing a dependable home care system has helped countless families regain control of their lives – and their finances. Home care software like ClearCare is easy to use and affordable. Your loved one’s caregiver will use a sophisticated telephony arrangement – also part of ClearCare’s innovative home care system – to clock in and out of her shifts. She will use top-of-the-line home care software to track her daily tasks, which will be completely visible to you at any time. Protect your future by looking into home care from an agency that utilizes a home care system, like ClearCare, today. Don’t put off your retirement or dip into your personal savings as you struggle to care for your parents. Home care software used by a reputable home care agency just may be the solution you’ve been searching for.